There are two airports on the island: Hewanorra International Airport at Vieux Fort (UVF) is located 40 miles south of Castries and George F. L. Charles Airport (SLU) which adorns a pleasant coastline on the outskirts Castries. Daily non-stop service is available from Miami, New York City, London, and several other international cities. 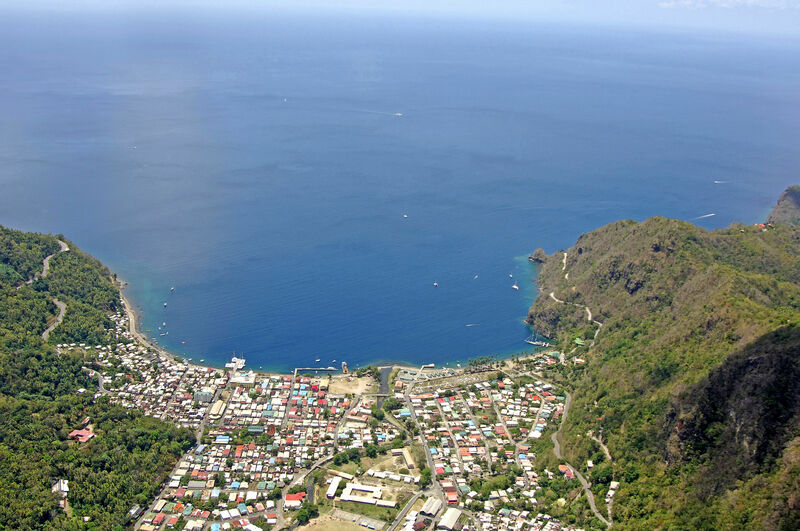 Soufriere is a small town that is located on the southwest corner of the island of St. Lucia on its western coast. The surrounding area is remote and wild, and with the park area and the tall and majestic twin Piton Mountains, this area is ripe for exploration. 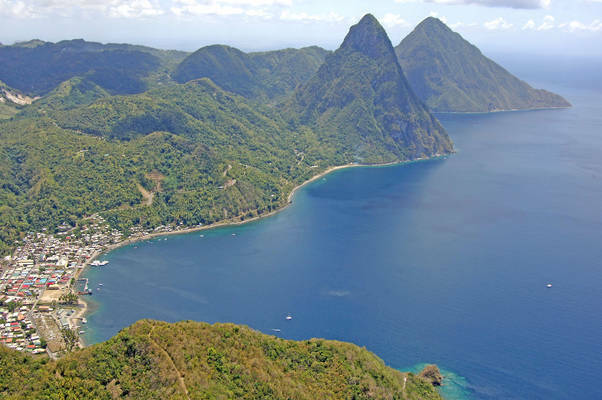 Keep in mind that the entire area is part the Soufriere Marine Management Area, and is governed by its rules. You can find more information about this ashore at the SMMA offices, which are also where you can check through customs. Petit Pinon and Gros Piton mountains are visible in the image above to the right, and are the primary landmark for those approaching the area. Like many of the open water harbors in St. Lucia, Soufriere is easy to enter. 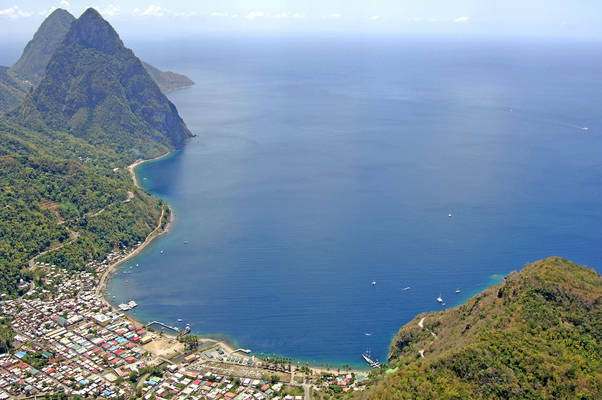 It requires an elementary approach from the west and you need only keep a lookout for the rocks off Caille and Rachette points if you are arriving along the north shore of Soufriere Bay. 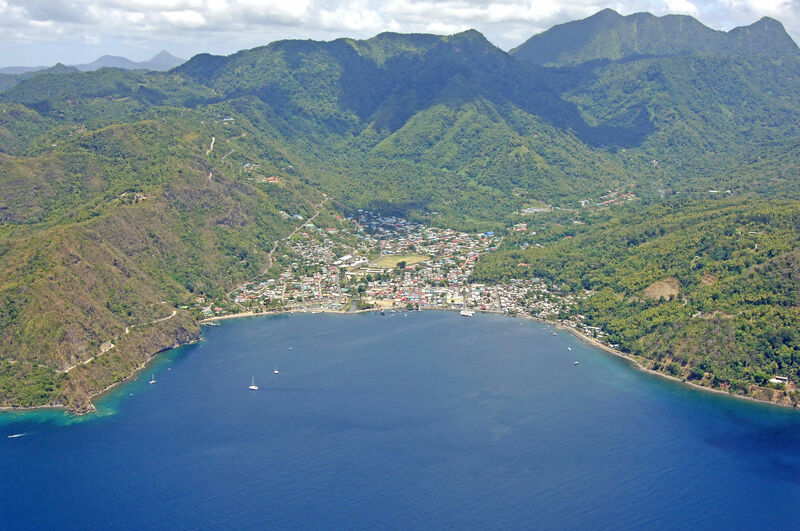 There are moorings on the south shore of Soufriere Bay, and a little farther down in the shadow of Petit Piton. 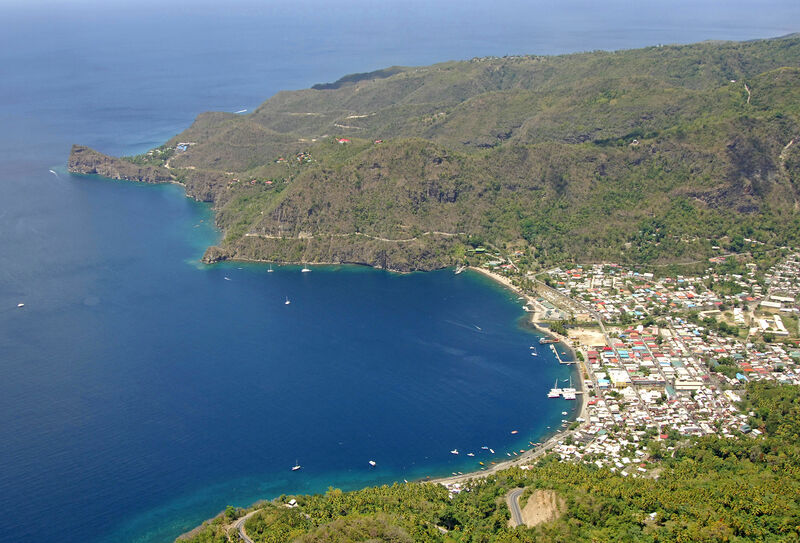 Closer in to the town waterfron are several areas where cruisers drop the hook in 50 or so feet of water (there is a deep ledge fairly close to shore where the depths drop quickly to 600 feet). No reviews yet! Be the first to write a review of Soufriere Harbor.